Android is crushing it as a driver of ad revenue. In this year’s second quarter, Android’s share of mobile ad traffic passed the share controlled by Apple’s iPhone and iPad devices. 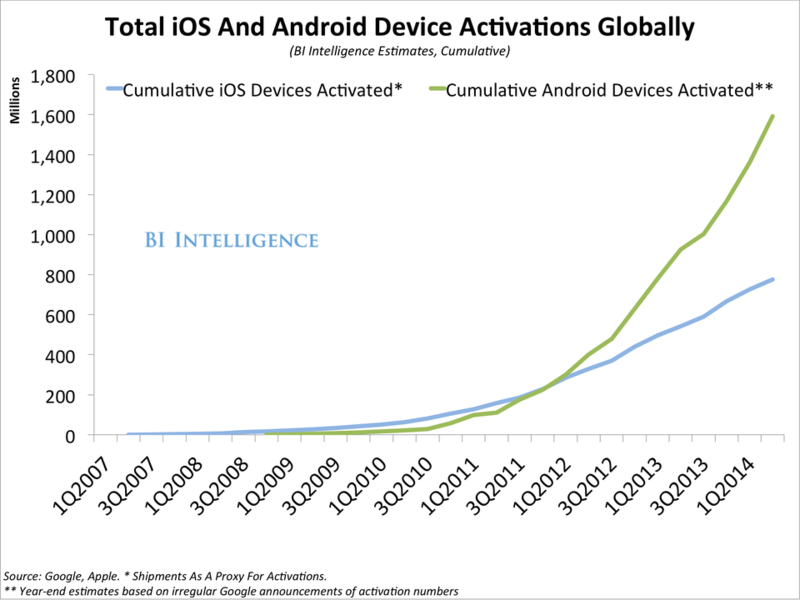 Android at 39% still lags iOS in ad revenue share, but it is gaining share twice as fast. 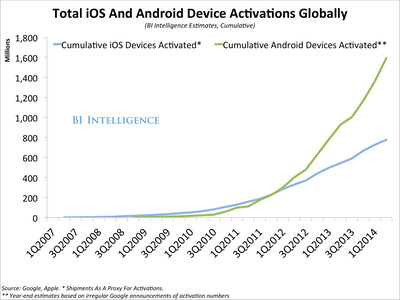 Android is exploding as an e-commerce driver. 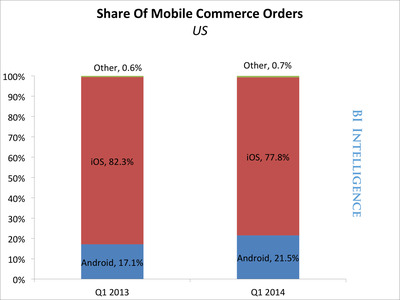 Android’s share of mobile commerce orders is up 26% year-over-year. 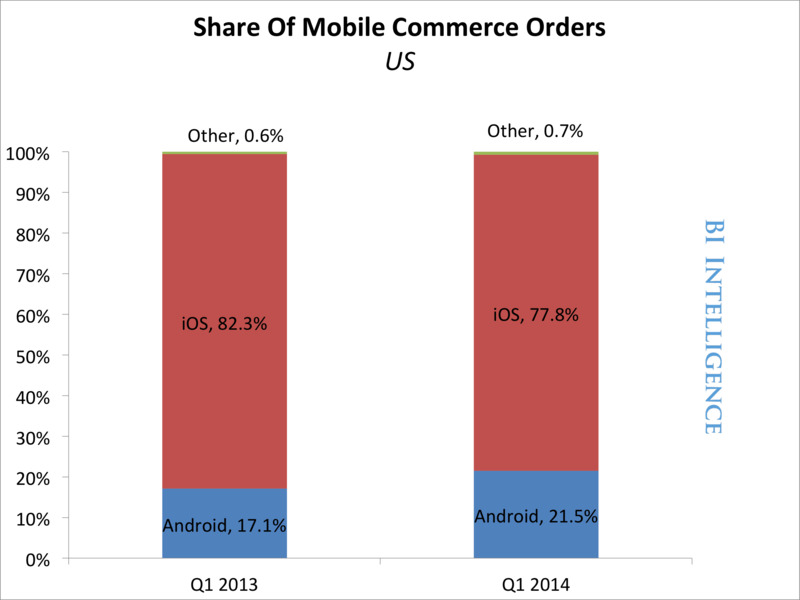 Android devices now account for just over one-fifth of all mobile e-commerce orders in the US. It’s also the fastest-growing major app ecosystem. Global revenue on Google Play more than doubled year-over-year in the first quarter of 2014. That’s faster growth than iOS, according to App Annie. Some analysts believe Google Play will overtake the Apple App Store in revenue within five years. Too many analysts remain attached to an outdated idea of Google’s mobile operating system as fragmented, malware-ridden, and low-end. They believe Android users don’t spend money on mobile and lack lifetime value. This is no longer true. For full access to the report on Android As A Mobile Business Platform and all our downloadable charts and data on mobile computing strategy and trends sign up for a trial subscription today.